Dr. Pashupati Chaudhary is an environmental scientist working in the field of biodiversity conservation, integrated conservation and development, climate change, ecosystem services, agriculture and food security, participatory research, and sustainable landscape development in the South Asia region since 1998. Dr. Chaudhary has earned Bachelors of Science degree in Agriculture from Nepal, and Masters degree in Sustainable International Development and Ph.D. degree in Environmental Science from USA. He is equally versed in public awareness, capacity building, planning and implementation of community-based conservation initiatives, and overseeing small to medium size projects. 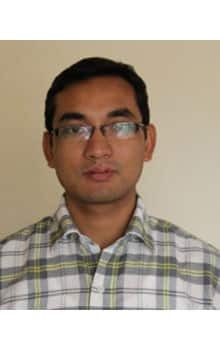 He has published articles in Science, Biology Letters, Current Science, Journal of Applied Geography, Journal of Disaster Research, Mountain Research and Development, Journal of Forest and Livelihood, Genetic Resource and Crop Evolution, Plant Genetic Resources Newsletter, Culture and Agriculture, to name a few. He has also contributed as Volunteer Chapter Scientist to First Order Draft of chapter 15 for Working Group II of IPCC’s Fifth Assessment Report.